I ordered this dress with size 8 and it came perfectly. It's very comfortable and the fabric is great quality. It came exactly on the day that was estimated by Simple Bridesmaid Dresses . Thank you for such a fantastic experience and I can't wait to wear it to the ball!! Yes! This is the dress I want.i got the dress with some alteration, because it is too long for me. just be weary about the height if you're being high heels. 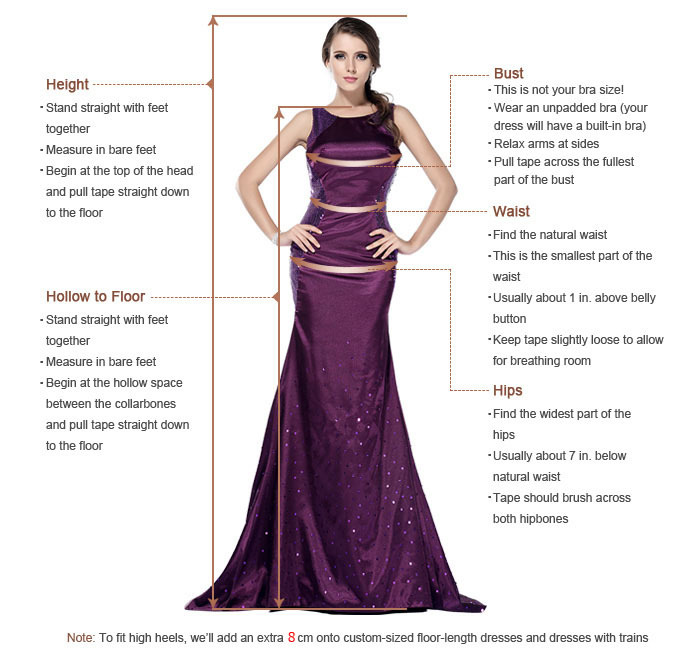 do not add inches to the hollow to floor measurements and they will add some inches for your heels, or it will be too long for you. the dress is unique and stunning. If you like you can make some modification of the dress, if you like. its up to ones creativity skills i suppose!! good luck!